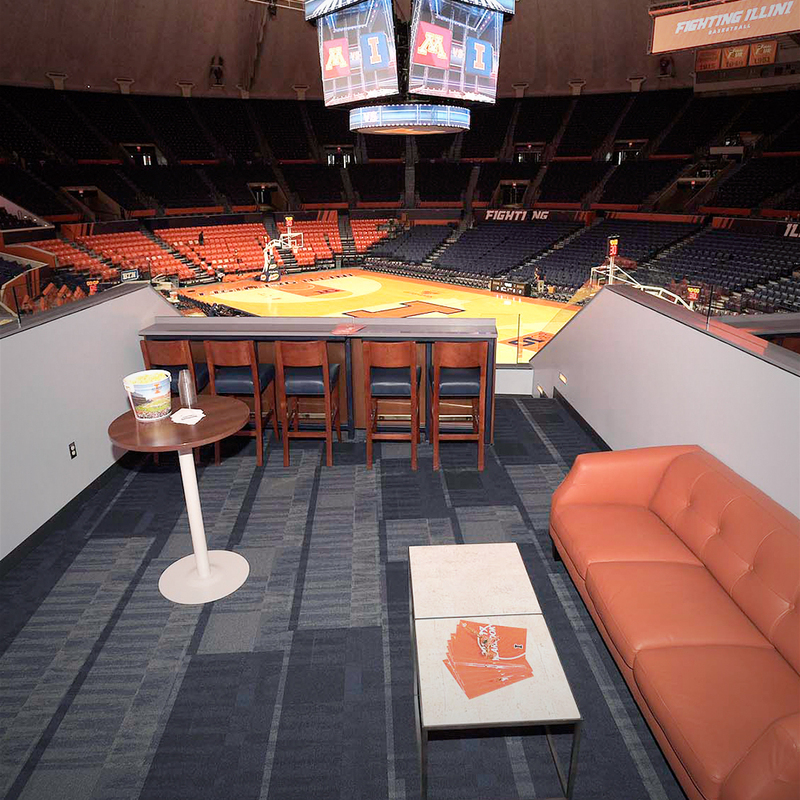 The luxury suites available in State Farm Center are the most sought-after destinations in the arena. The suites accommodate up to 15 guests each. They include padded, premium chairs with terrific, unobstructed views of the game. 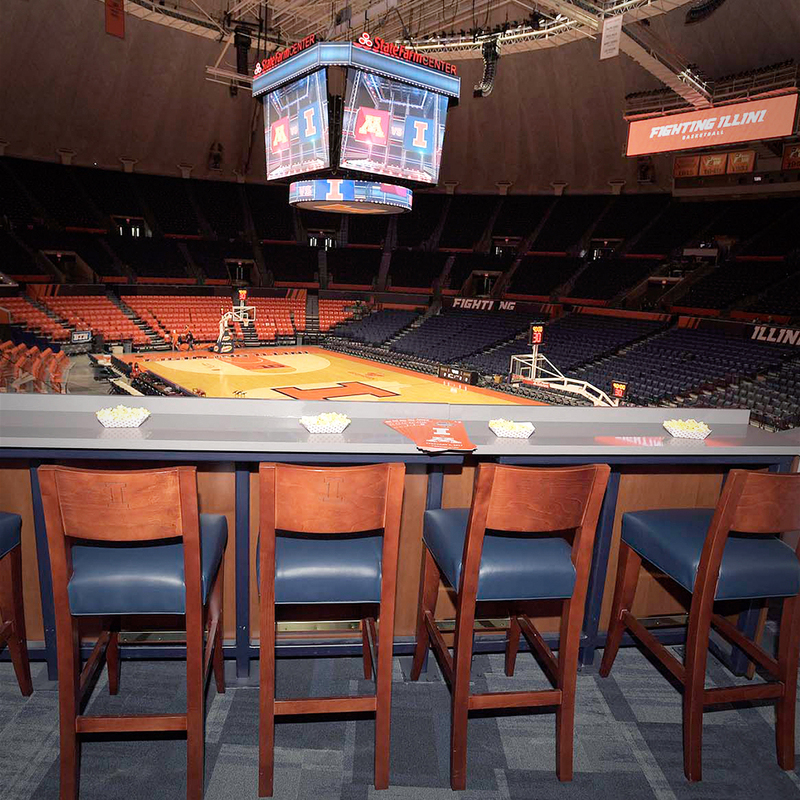 All suites line the east side of the court with convenient access to the Traditions Club and other amenities in the arena. Each suite is furnished with barstools and a kitchenette area in the back. 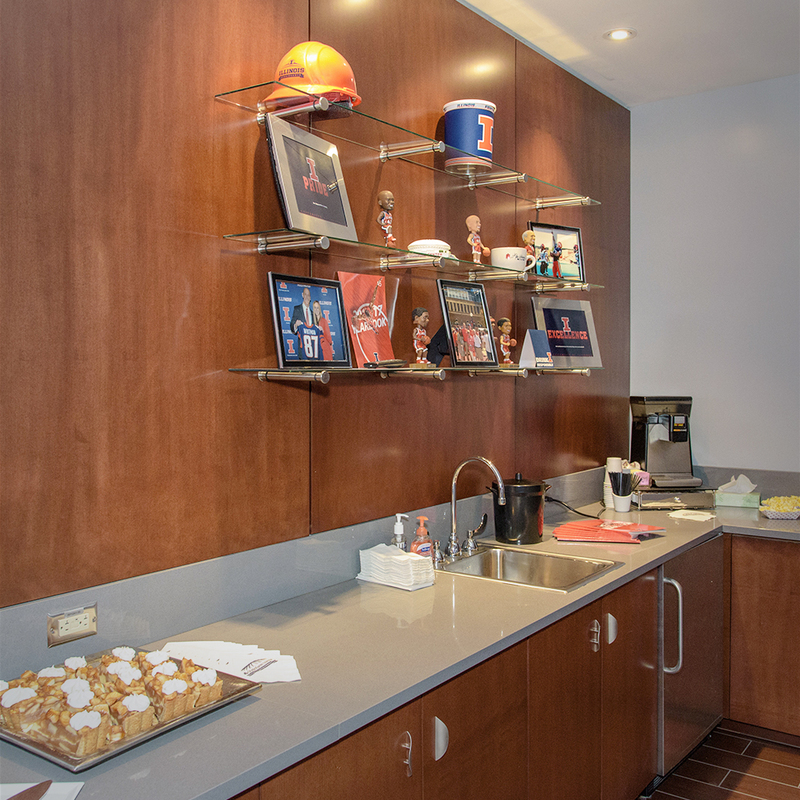 The suites feature high-end finishes and state-of-the-art audio and video components to enhance game day for guests. Full food and beverage service is also included within the suite. ** * Prices reflect annual commitments due each year by June 1. After establishing a campaign gift commitment, the first annual lease payment is due June 1. Prices will increase every commitment year by 2.5%. Discounts for prepayment of entire contract term are available. An annual I FUND commitment is required of all Suite patrons for the life of their contract. By maintaining an I FUND account, Suite patrons will have the opportunity to purchase special single-game tickets and receive an I FUND season parking pass. Single-game tickets and the I FUND parking pass are allocated based on I FUND club level and priority point totals. The minimum required I FUND membership for the Suite is the Loyalty Circle level.